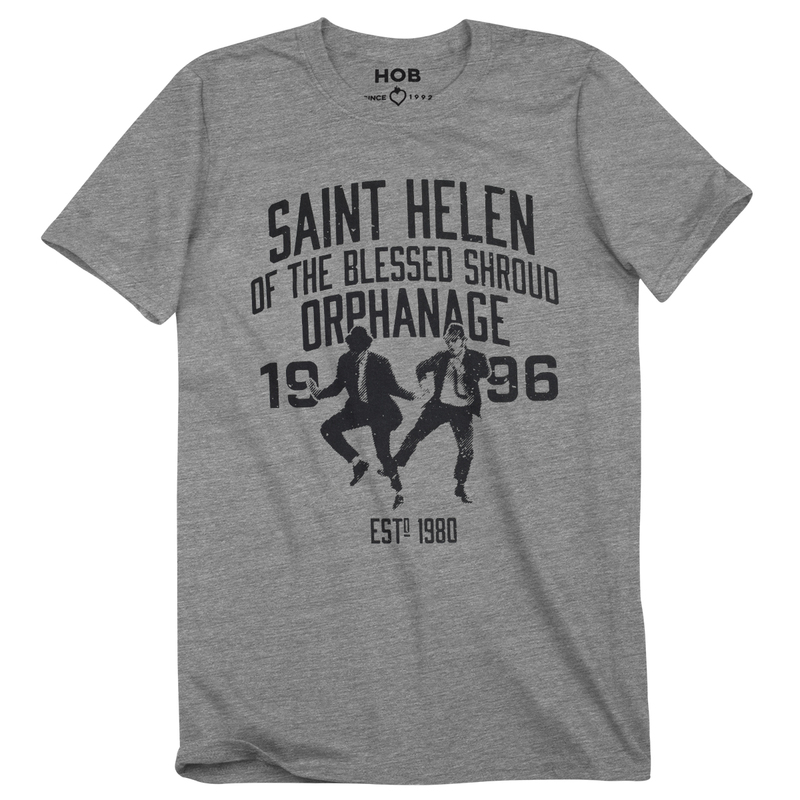 This college athletic inspired image is on a deep heather grey unisex short sleeve tee and fits like a well-loved favorite, featuring a crew neck, designed with superior combed and ring-spun cotton. The Saint Helen Orphanage is from the Blues Brothers movie. Jake was released from teh Joliet State Correctional facility for armed robbery, hi and his brother visited the orphanage where they grew up to fulfill a promise to visit Sister Mary Stigmata (also known as "The Penguin"), who, along with the maintenance man Curtis were the only real family the brothers have ever known.